Will it be a restaurant among the vines, or a marquee under the stars overlooking lush grassy hills? How about an English garden brimming with beautiful flowers? Now that you have the ceremony sorted (you did remember to do that didn’t you?) 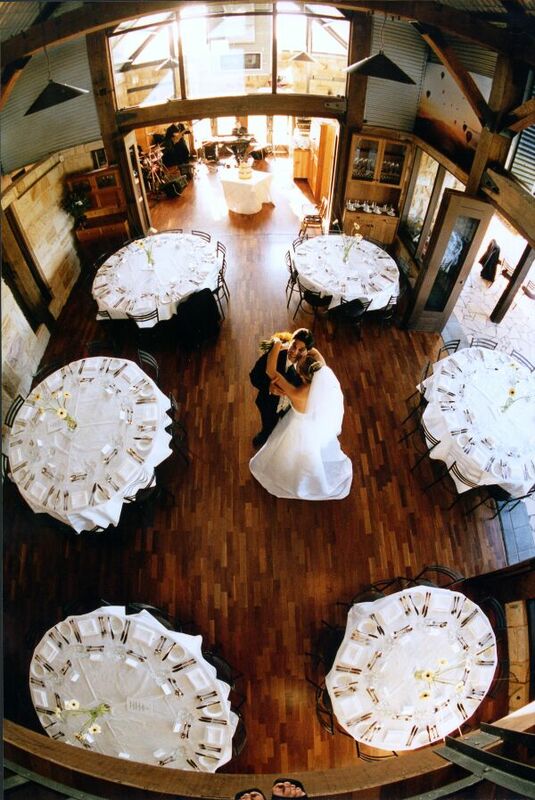 it’s time to find the perfect spot to dine, dance and create a wedding reception you and your guests will remember. There is an abundance of reception venues in the Hunter Valley that can cater to weddings of any size, from intimate gatherings to bigger than Ben Hur extended family affairs. You may have an idea of the sort of place you’re after, or not a clue as to where to start. Don’t panic – start by browsing our Hunter Valley wedding venues directory and magazines for inspiration and ask around for recommendations. Do you want live music and a dance floor? Are you looking for glamorous and ritzy or casual and comfortable? When you know a little more about what you want, short list some venues that look promising or have been recommended, make some calls and arrange a time to view them for yourselves. You will need to have some basic information on hand: the estimated number of guests, date or dates you are looking to marry, and preferred time of day for the reception. If you know where the ceremony is being held, it makes sense to choose a venue in close proximity. Ask questions about access to the venue for set-up and about what is, and isn’t included in the price. Then it’s just a case of deciding which venue best meets your needs, the size of your party, and your own personal style. You might opt for a dedicated reception venue, any of the many fine dining restaurants in the region, or even an accommodation option that provides areas for wedding receptions. Wherever you choose, you can look forward to some beautiful food, delicious wines, and perhaps some dancing to finish off the big night.